The implementation of the Pasa terminal in April 2002, in the port of Paranaguá, marks the beginning of a new phase in the history of the sugar-alcohol sector of Paraná. With an agile logistics for the production flow of Paraná power plants, aiming at exporting to different international markets, Pasa was conceived as an audacious project where the sum of efforts and investments allowed the construction of the first terminal specialized in shipment of in the southern region of the country. Over the years, with the growth of state production and the investments made by the mills, important markets have been conquered. The reduction in the costs of port shipments made through the Pasa port complex allowed a greater international competitiveness of the product of Paraná and the beginning of a new stage in the history of the sugar and alcohol sector of Paraná, a state that until the beginning of the 1990s had practically no expression as a producer and exporter of sugar. In 2005, the second warehouse was built, bringing to 174,000 tons the terminal’s static capacity in Paranaguá, providing storage of products from associated plants and business partners, combined with complete logistics, making Paraná a privileged state in production and outflow of sugar. Faced with the growing demand for solid bulk exports in 2015, Pasa Paraná Operações Portuárias S/A changed its profile, exporting grains besides sugar, especially soy and corn. With three bulk warehouses, Pasa has recently expanded its receiving, warehousing and export capacity. Currently, it has a total static storage capacity of 239 thousand tons of solid grain and export capacity of 7 million tons, double the previous capacity, serving customers and shareholders with higher quality, safety and efficiency, contributing to solve the problems saturation of the main Brazilian ports. In addition to receiving, storing and exporting sugar from the associated plants in Paraná, the terminal provides services to third-party companies in neighboring states, especially São Paulo and Mato Grosso do Sul. The new works also improve transportation logistics in the state, which includes an extensive network of highways and railway connections that cross the Paraná. – Deliver solid bulk exports with agility and at competitive cost. – To promote the continuous improvement of the quality of the services provided, offering modern and efficient infrastructure in the activities of port operations, operating with the latest technology and qualified professionals. – Prioritize customer and shareholder satisfaction. – Meet legal requirements established by regulatory agencies. – Continuously improve the adequacy, adequacy and effectiveness of the quality management system. To guarantee the quality of the services provided, offering modern and efficient infrastructure, using state-of-the-art technology and working with qualified professionals in port operations activities. It is one of the first companies in Paraná and the port sector to obtain the recognition in the new version of the quality of the management of its processes. The Pasa Paraná Port Operations Terminal, located in the Port of Paranaguá (PR), is one of the first state and port sector companies to obtain the new ISO 9001: 2015 Quality Management System Certification by the Carlos Alberto Foundation Vanzolini, from USP – University of São Paulo. 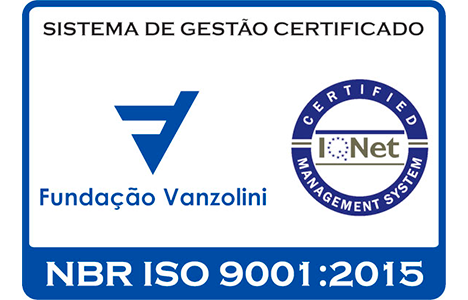 In line with its policy of continual improvement of its processes, the company opted for ISO 9001: 2015 Certification in order to improve the quality of the management of its processes, in addition to making them more efficient, aiming for greater recognition and reliability at national and international level. 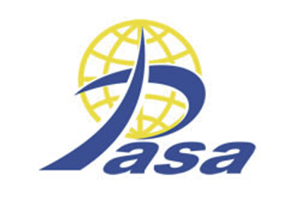 Pasa invests constantly in the development of its employees and in the strengthening of its brand, always aiming to offer greater competitiveness to the export market of solid bulk, especially sugar, and to further strengthen the relationship with customers and suppliers. “The merit of this achievement – Certification ISO 9001: 2015 -, is an important milestone for the history of the company, as well as of all the employees that integrate it. This demonstrates competence and commitment to quality in our processes in the quest for excellence, “says the company’s director, Pérsio Souza de Assis. Included in the port structure in Paranaguá, the consortium of sugar mills and cooperatives in the state of Paraná, the sugar terminal Pasa Paraná Operações Portuárias S/A, Álcool do Paraná, which operates the public alcohol terminal of APPA – Administração dos Portos de Paranaguá e Antonina. Founded on October 9th, with the purpose of operating the Public Alcohol Terminal, located in the Port of Paranaguá, State of Paraná, it is the first public terminal of Alcohol in Brazil. The operation of the Alcohol of Paraná Terminal Portuário S/A means greater competitiveness to the product of Paraná. Terminal especializado na movimentação e embarque de graneis sólidos, executamos nossas atividades com a mais alta tecnologia de infraestrutura portuária. Endereço: Av. Bento Rocha , 67 – Dom Pedro II – 83221-565 – Paranaguá – Paraná – Brasil.